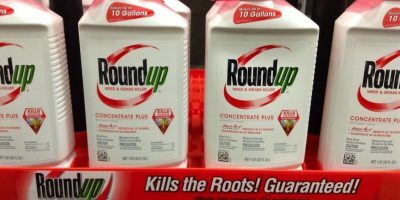 Monsanto will ask a San Francisco judge on Wednesday to throw out a jury’s $289 million award to a former school groundskeeper who claimed the company’s glyphosate-based weedkillers, Roundup and Ranger Pro, caused his non-Hodgkin lymphoma. Superior Court Judge Suzanne Bolanos, who oversaw the trial, has the power to overturn the verdict, reduce the award amount or order a new trial. The plaintiff, Dewayne Johnson, was the first among 8,700 people in the U.S. who have made similar cancer claims against Monsanto, which is now owned by Germany’s Bayer. Attorneys for the company say Johnson failed to prove that Roundup or similar herbicides caused his lymphoma, and presented no evidence that Monsanto executives were malicious in marketing Roundup. Bolanos was not expected to rule immediately. A judgement in favor of the company could discourage the other lawsuits and allow Bayer to avoid a “rush to trial after trial,” Bloomberg reported. More trials over the controversial herbicide are scheduled for February. Jonas Oxgaard, an analyst at Sanford C. Bernstein & Co., estimated to Bloomberg that Bayer’s market value is discounted by as much as $15 billion due to the jury’s verdict. “Getting the first ruling overturned would be huge for Bayer—likely reversing most of the discount,” Oxgaard told the publication. Johnson’s lawyer, Brent Wisner, said the jury made the right decision in August when they awarded his client with $289 million in damages. “This was a considerate, thoughtful and well-educated jury that looked at the science to conclude glyphosate causes cancer,” Wisner told Reuters in August. “Mr. Johnson’s story is tragic and could have been prevented if Monsanto actually showed a modicum of care about human safety,” Johnson’s lawyers also responded in court documents cited by the AP. Featured image is from EcoWatch.